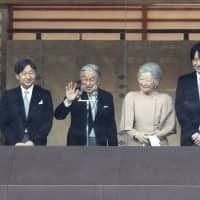 As Japan prepares for the first Imperial succession in about 200 years involving a living monarch, it has yet to address concerns about the future of the Imperial line and the shortage of royals performing official duties. 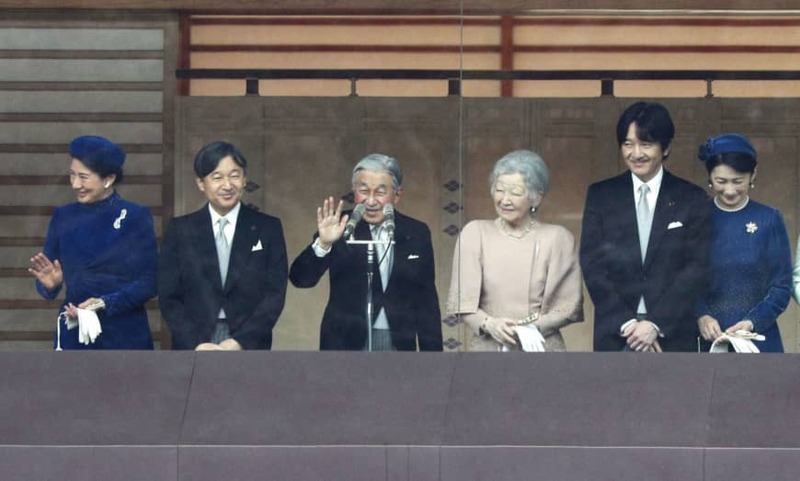 Emperor Akihito, 85, is set to abdicate on April 30, 2019, to be succeeded by his eldest son Crown Prince Naruhito, 58, the following day. The rare abdication was decided after the Emperor hinted in a rare public broadcast at his desire to step down due to his age and weakening health. A number of Imperial rituals are scheduled in the year, including a ceremony on May 1 in which the new Emperor will inherit the traditional regalia, the enthronement ceremony on Oct. 22 and the Daijosai, or Great Food Offering Ceremony, from Nov. 14 to 15. While the events are set to take place in a celebratory atmosphere, the succession means the Emperor and Empress Michiko, 84, will no longer be performing official public duties, leaving the remaining 16 royals to assume an increasing share of them. The issue has attracted fresh attention because Ayako Moriya, 28, the youngest daughter of the Emperor’s late cousin, gave up her Imperial title after marrying commoner Kei Moriya in October. The size of the Imperial family, which stands at 18, including 13 women, is expected to dwindle further as Princess Mako, the Emperor’s eldest granddaughter, is also planning to get engaged — to commoner Kei Komuro. According to the 1947 Imperial House Law, women cannot ascend the Chrysanthemum Throne and must leave the Imperial family if they marry commoners. The law stipulates that only males born to the male lineage of the Imperial family can ascend the throne. After the Crown Prince ascends the throne, there will be only three male heirs — his younger brother, Prince Akishino, 53, the Emperor’s only grandson, Prince Hisahito, 12, and Prince Hitachi, 83, the Emperor’s younger brother. “The size of the Imperial family is certainly going to shrink. Prince Hisahito is the only male heir in his generation but we don’t know whether he will have a son,” said Shinji Yamashita, a former Imperial Household Agency official and a journalist specializing in the Imperial family. He and his future wife would face “enormous pressure and burden” to maintain the bloodline of the world’s oldest hereditary monarchy and perform public duties as the symbol of the state, he said. To address the issue, the Diet adopted a resolution in June last year urging the government to start deliberating succession issues, including an option to allow princesses to retain their royal status and establish their own family branches after they marry commoners. The resolution was attached to the one-off legislation that was drafted to enable the Emperor to abdicate before death. But Hideya Kawanishi, an associate professor of modern Japanese history at Nagoya University, said there is little momentum for revising the Imperial House Law to let women retain their royal status after marriage due to opposition from conservatives, the core base of Prime Minister Shinzo Abe. 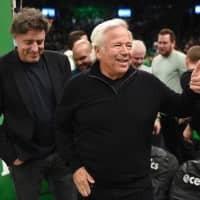 “Conservatives are unsupportive of the creation of female branches, claiming it could pave the way for female members to ascend to the throne,” he said. “The resolution only came about as a result of a compromise between the ruling and opposition parties. 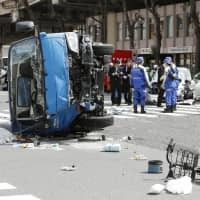 Realistically speaking, we are unlikely to see major steps to address the issue in the foreseeable future,” Kawanishi added. Although there had recently been government debate about amending the Imperial House Law to allow female succession, it stopped after Prince Hisahito was born in 2006, giving the Imperial family its first new male member in 41 years. In 2012 the government led by the Democratic Party of Japan also considered ways to let women remain in the family even after marriage and establish their own branches. But the initiative faded after the Liberal Democratic Party, led by Abe, returned to power at the end of the year. With little prospects for an amendment, the family and the Imperial Household Agency are trying to devise ways within the current legal framework to tackle the mounting burden of having individual royals perform public duties. Those duties range from visits to disaster-hit areas, trips to mourn the war dead to participation in social, cultural and sports events. In addition, the Emperor is required to carry out state acts such as the promulgation of laws and convocations of the Diet. Imperial Household Agency officials and experts say some ceremonies could be attended by a single member rather than a couple, and events with similar themes could be consolidated, although state acts and some official activities cannot be curtailed due to constitutional requirement and in view of fairness. Ayako Moriya, who recently left the Imperial family, retains honorary titles at two organizations even after her marriage, in the first such case for female members who have married commoners. However, scholars say that this is just a temporary measure and that the root causes of the problems remain unaddressed. Yamashita says one solution would be to share public duties with members of 11 collateral branches that left the Imperial family in 1947. “If they are delegated to perform duties related to the Imperial household and such practices continue for a long time, the public may start accepting their return to the Imperial family, and ultimately could view male members as potential heirs of the throne,” he said. 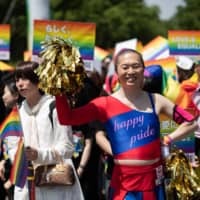 Similar arguments have been made by Abe and his supporters who believe that hereditary monarchy, which is said to stretch back more than 2,600 years with the throne consistently passed down the male line, should continue the same way. But Kawanishi believes such an idea is outdated and does not reflect the majority view of the public. In a Kyodo News opinion poll that randomly surveyed 3,000 men and women aged 18 or older across Japan in March and April, 83 percent said they support women ascending the throne. “The government should push forward legal revision to allow the establishment of female branches or Imperial succession by women. If the system is not in line with the present value promoting women’s social advancement, it will not be able to gain public support,” said Kawanishi. Of all 125 emperors so far, including legendary ones such as the first, Emperor Jimmu, eight women who were all born to the male lineage of the Imperial family ascended the throne.